We think of food waste as something that happens at home. But really, it starts with what we put in our grocery carts. 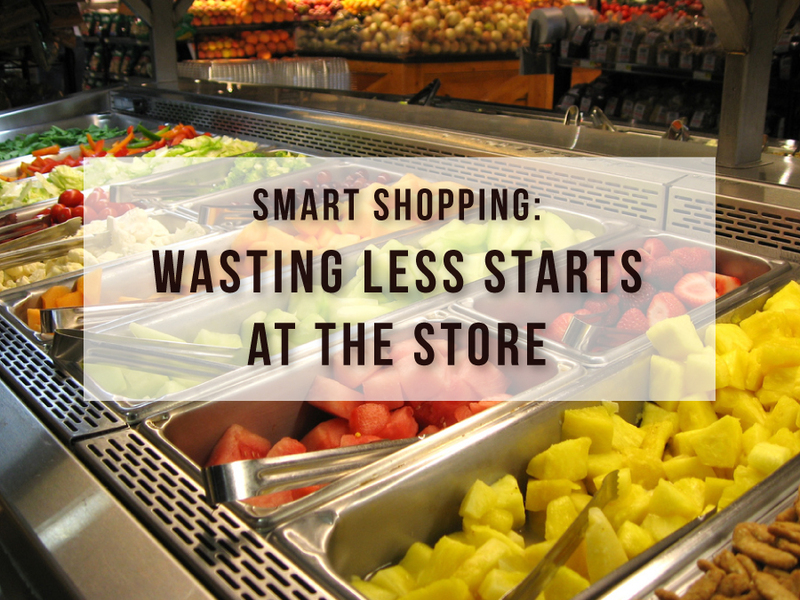 With supermarkets designed to tempt us in every aisle, it’s easy to end up overbuying. Here are some tips to help you buy just what you need. If you only use one tip on this list, make it this one: Make a grocery list based on what you plan to eat before your next shopping trip. (Get tips on how to make a meal plan.) Then, stick to the list. By shopping from a list, not only are you less likely to buy food you won’t eat, but you also won’t have sticker shock when the cashier tells you the total. A paper list is all you need, but there are many shopping list apps to choose from. One of our staff members likes AnyList, which allows multiple family members to add and cross off from a centrally shared shopping list. It also allows you to schedule meals in a shared calendar where you can link to recipes. Many of us are in the habit of doing a “big shop” for the week ahead. The problem is that we are not very good at predicting what we will want to eat in the future, so we overbuy and end up wasting more, according to a University of Arizona study. If this sounds like you, try shopping more often and getting only what you’ll need for the next few meals. 3. Buy fresh ingredients in smaller quantities. Choose loose fruits and vegetables over prepackaged ones so you can buy only the amount you need. Or, if a recipe calls for a cup of chopped peppers or roasted beets, grab them from the salad bar rather than buying more than you need. Shop the bulk bins when you need small quantities of spices, nuts or dried fruit. As much as you try to stick to your shopping list, it’s hard to resist impulse buys. Start by shopping on a full stomach, then learn to recognize supermarket techniques to get you to buy more, like displays at the ends of aisles. (Those usually aren’t a better deal; manufacturers often pay for their products to be displayed there). Before you check out, do a quick scan of your items and ask yourself if you really need everything in your basket. 5. Beware of “family” sizes and “buy one, get one” offers. It may seem to be a better deal to buy larger quantities, but if you have a small household, buying large amounts of perishable food without a plan to use it all leads to wasted money and food. 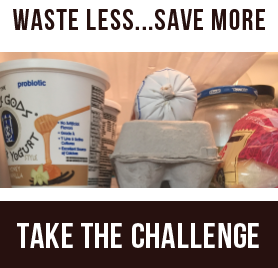 For instance, if you buy a large tub of cottage cheese because it was only $0.50 more than a small container but only able use half before it goes bad, you haven’t saved any money. The same goes for discounts on buying multiple items. Often, you’ll get the sale price even if you don’t buy the whole lot, like those 10 for $10 avocados. Read the fine print or ask an associate if you’re not sure. 6. Shop at farmers markets. Shopping at farmers markets allows you to buy just the things you need and get produce that may stay fresh longer since it was probably picked more recently. You also might think twice before throwing away an heirloom tomato grown by a local farmer compared to a kind-of-mushy one grabbed from the supermarket.